New year, new reading goal… or maybe not. In 2018 I set the lofty (for me) goal of reading through 52 books within the year. Considering that I had never completed more than 32 books in 52 weeks, this was a big undertaking that I honestly wasn’t even sure I would complete. But it sounded good in my Powersheets, and like I talked about in last week’s post, I was all about setting goals based on what everyone else was doing then, so it made sense. Fast forward to December 31st, 2018, and I was very happy to say that I read 49 out of my 52 planned books for the year. (You can find the full list of all 49 books in this post.) I was actually highly pleased with this number considering I didn’t expect to actually read 52 books, but I was also left with a twinge of disappointment at not hitting the high mark that I’d been so proud of achieving. I’ve seen all of my bookstagram friends sharing their new reading goals for 2019, and it’s caused me to do a lot of thinking about why I love reading and choose to read what I do. I genuinely love to read – I always have – but during college I really started choosing books as my down time entertainment, and it’s completely changed the way I spend free time, relax, and unwind. I love many genres, and the main reasons that I choose to read are for pleasure/entertainment, personal development, or to learn something new. But putting numbers and deadlines around reading in 2018 really made it hard to continue finding the joy and excitement that I can usually so easily find in reading, and it may have caused me to miss out on a few things, too. SO, without further ado, my 2019 reading goal is absolutely no goal at all, and I couldn’t be more excited about that. I have no expectations for pages, books, titles, anything, beyond just choosing to read when I want to, and not forcing myself to if I don’t. The problem with 52 was that I constantly felt like I should be reading, even when I didn’t feel like it, so I would begrudgingly pick up a book before bed, which obviously caused me to dread reading. I would feel stress if I was falling “behind” on my goal. And sometimes I would even choose to not read certain books because if I did, I wouldn’t be able to meet my goal. 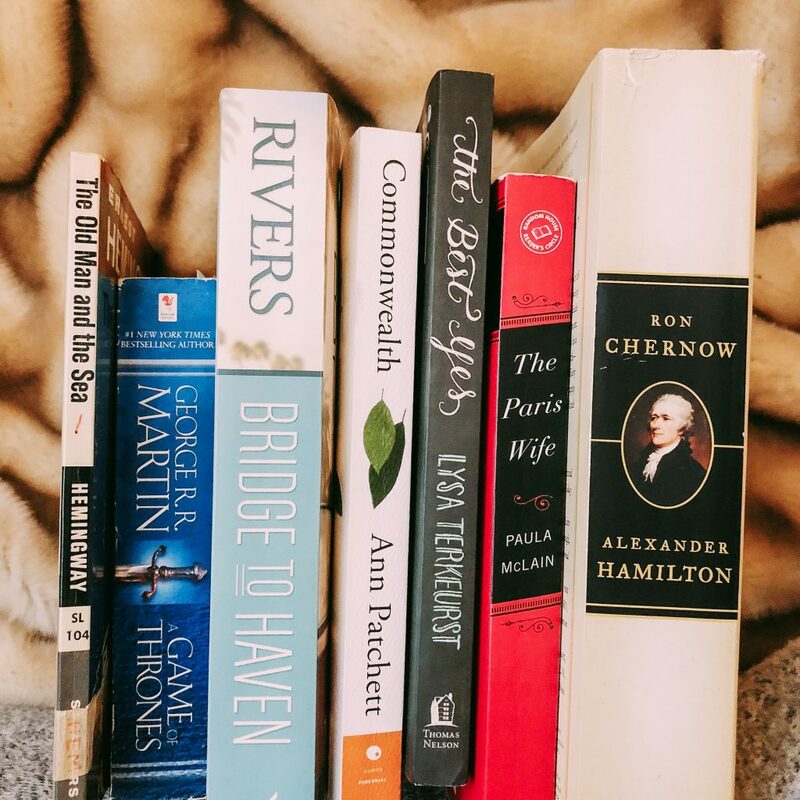 I am a die-hard Hamilton fan, and have been reading the Alexander Hamilton biography by Ron Chernow for two years but almost never pick it up because it’s so stinking huge and I know it’ll slow me down. How ridiculous is that?! I want to find absolute joy in the books that I choose to read, so I’m choosing to read them with no limitations, parameters, or expectations. This is what is working for me, and what I’m choosing for 2019, but everyone is different! How are you choosing to read in 2019? Let me know your goals, the books you are wanting to read, and everything in between! AND add me on Goodreads if you have one, so I can see what you’re reading!